Polestar is about to become the Swedish equivalent of Mercedes-AMG. Volvo’s performance division Polestar surprised the car world when it used a Volvo S60 to set the fastest time around the Nurburgring in a four-door sedan. 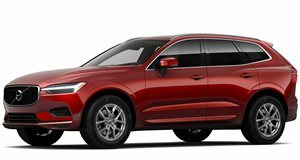 It also recently entered the spotlight with the news that sales of Polestar-tuned Volvos had surpassed a respectable 100,000 units. Suffice to say, the Swedish firm still has a lot of catching up to do to compete with its more established German rivals Mercedes-AMG and BMW M performance divisions. In a surprise move, Polestar is about to branch out and build a range of own-branded electric sports cars. Auto Express reports that an inside source at Volvo’s parent company Geely wants to create a line-up of brands to rival VW. With Volvo already established as a premium automaker, Polestar will offer a range of own-branded electric sports cars in addition to turning Volvo sedans and wagons into performance machines. Essentially, Geely is aspiring to Mercedes-AMG, which originally only produced modified Mercedes sedans before unleashing its own sports car, the SLS AMG. No pressure, then. Little is known about Polestar’s upcoming performance EV range, but the first car is expected to break cover later this year. 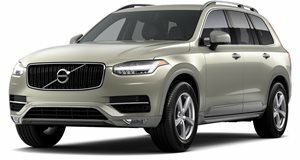 The potent Polestars will run on Volvo’s new SPA (Scalable Product Architecture) and CMA (Compact Modular Architecture) platform which underpins the Volvo XC60, XC90 and 90-series models. Polestar will also become he global face of Geely’s motorsport efforts, which will reignite rumors that Polestar Cyan Racing, which runs Volvo’s race cars, is gearing up to join Formula E. Polestar will still be based at the same headquarters in Gothenburg, Sweden, where it will continue to collaborate with Volvo. 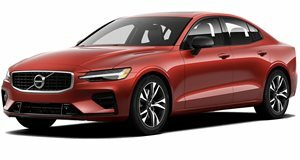 What form Polestar’s first performance EV will take remains to be seen, though it seems likely that it will adopt the powertrain from the electric version of the Volvo V90 and S90.